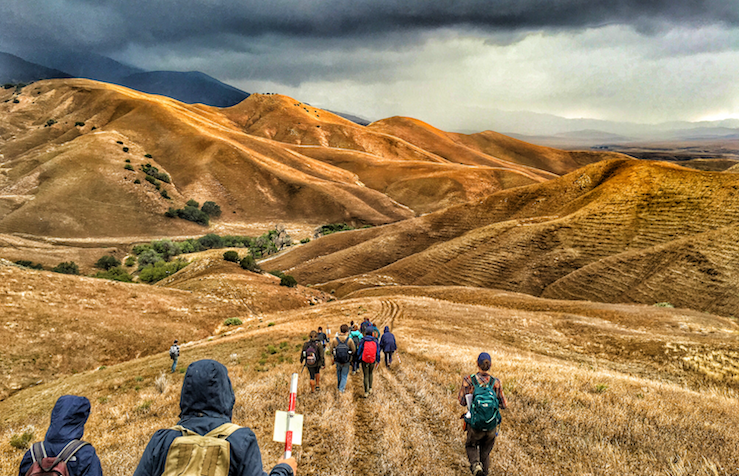 The Earth & Planetary Sciences program at UC Santa Cruz is ranked among the top 15 Earth Sciences programs in the United States (National Research Council, 2010; US News & World Report, 2010). It is also one of the three largest undergraduate Earth Sciences programs in the country. Over 75 UCSC undergraduates receive their degrees from the Earth & Planetary Sciences department annually, and at any given time, about 50 graduate students and 12 postdoctoral researchers are in residence. Of the department’s 22 current faculty and 9 researchers, many have earned awards for their world-class scholarly research and for teaching. This excellence is evidenced by the quality of both graduate and undergraduate education, and by the profusion of opportunities for students to become involved in cutting-edge research. The faculty’s diverse range of interests covers the areas of hydrogeology, tectonics, structural geology, geomorphology, paleontology, biogeochemistry, climate studies, environmental change, paleoceanography, seismology, mineral and rock physics, impact processes, atmospheric science, glaciology, and planetary physics, with common collaboration between these sub-disciplines.